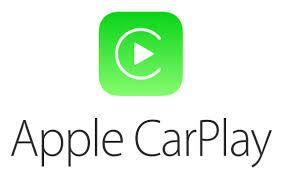 New model Alpine, Pioneer & Kenwood Apple CarPlay and Android Auto at competative prices..
‘Now available in store.’ An extensive range of car audio brands also available.. and much more.. PLEASE NOTE: THIS WEBSITE IS ONLY A SAMPLE OF WHAT IS AVAILABLE IN STORE AT TONKIN’S IN CAR SOLUTIONS. PIONEER AVH-Z7250BT 7”SINGLE DIN FOLD WITH APPLE CARPLAY & ANDROID AUTO. DASH CAMS AND IN CAR RECORDERS BY THINKWARE! Tonkin’s is a name synonymous with the best in mobile entertainment and in-car solutions having serviced South Australia for over 40 years. Our reputation has been built by delivering outstanding customer service and we’re proud to be recognised as one of Australia’s leading in-car solution specialists. It is this reputation and our commitment to customer satisfaction that makes Tonkin’s the logical choice when it comes to handing over the keys to your pride and joy. Tonkin’s proudly supporting Variety again in 2019 with SA Bash car GROOVY. Tonkin’s would like to thank the following suppliers for also supporting Variety: Focal, Pioneer, Alpine, JL Audio, Ultravision, Thinkware, Kenwood, Dynamco, Stinger, Parksafe and all our customers who have donated along the way. It takes dedication and passion to be at the leading edge of the in-car solution industry for nearly 40 years. Tonkin’s brings this passion to every customer and car that enters one of our fully equipped facilities, from a basic speaker upgrade right through to a multi-source entertainment system our technicians treat every car with the highest level of respect. It’s not just all about cars either; we also provide solutions for 4WDs, Trucks, Motorhomes and even Caravans – equipping them with the latest in entertainment, safety and communication products. All installed by our dedicated installation technicians in onsite workshops equipped with specialist tools to perform even the most ambitious custom installations. So when it comes to upgrading your pride and joy, come in and discuss your needs with our passionate and dedicated staff… they’re what our reputation is built on.